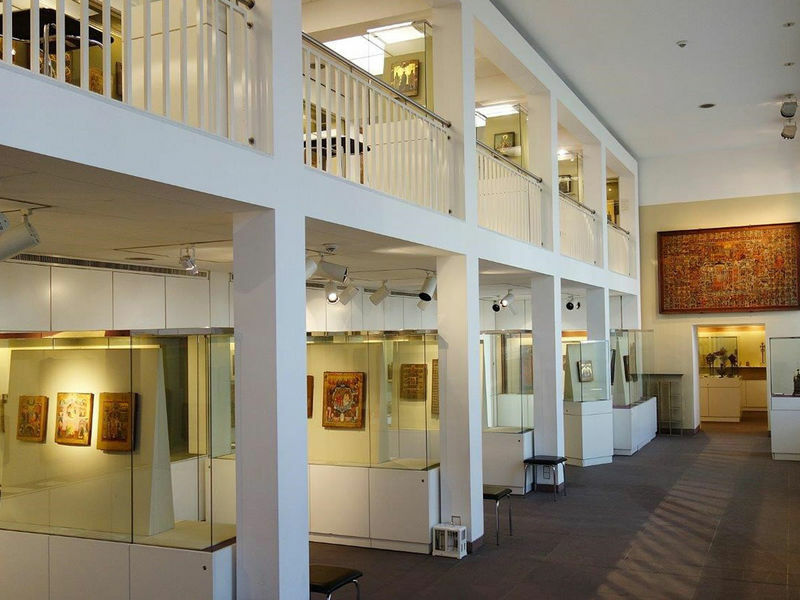 Opened in 1990, the Icon Museum of Frankfurt am Main occupies the eastern periphery of the Museum Embankment. 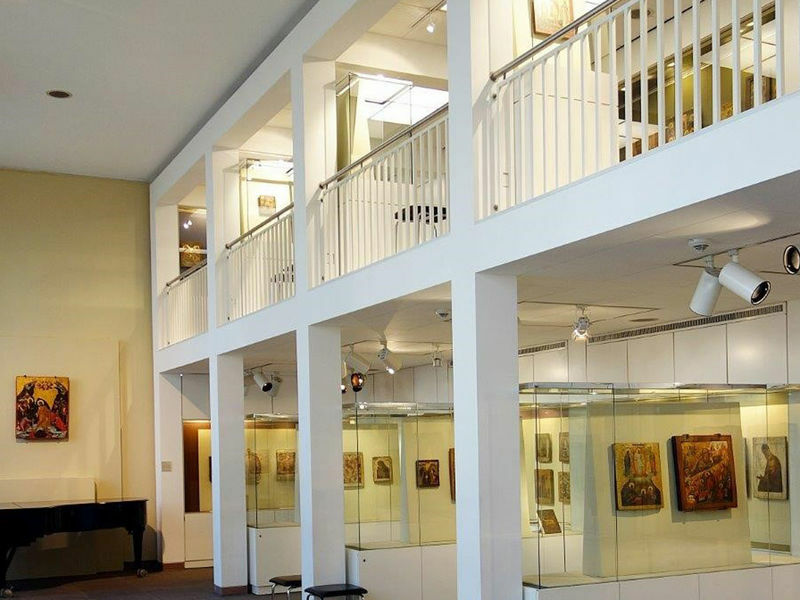 The newly designed interior of the Museum is the brainchild of Oswald Mathias Ungers. The Museum came into being thanks to a donation by the Königstein physician Dr Jörgen Schmidt-Voigt, who in 1988 gave 800 icons to the City of Frankfurt. This collection has gradually been extended to more than 1,000 exhibits. Stepless access to the museum via a separate entrance (located in the courtyard of the Cultural Dept. on Elisabethenstraße). Access to the “Empore” exhibition area only via stairs (17 19-cm steps).